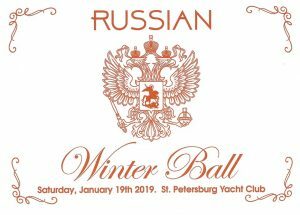 Extravagant Annual WINTER BALL at the elegant St. Petersburg Yacht Club! This will definitely be one of the highlights of 2019! $125 for members, with 2019 dues paid. Early Bird: $100 for members, before January 4, 2019. Early Bird: $125 for non-members, before January 4, 2019.